Just wanted to give you a peek into this gorgeous coloring book that arrived at my house this week - this is a second book by my favorite coloring book artist and the creator of Floribunda (a gorgeous watercoloring book). 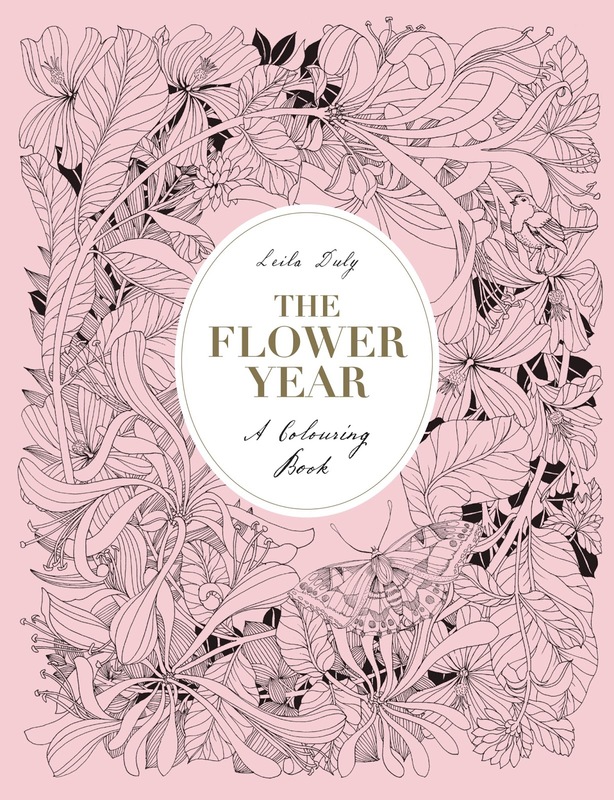 This is The Flower Year - it's a smaller format hardcover book with floral illustrations for each month of the year, and even some butterflies and birds tucked in as well! It is beautiful! You'll even find an 'index' in the back listing the flowers in each illustration, so you can look up reference photos for accurate coloring (if you're into that!). Some of the smaller vignettes are labelled as well. The paper is not heavy duty but very high quality - I colored this page using watercolor and Zig markers, and it stood up to my coloring and layering and even some water application. In some coloring books the color will soak into the paper, but this paper allows for lifting and blending, and even some color misting - you can see where misted water allowed some of the ink to lift and bleed a little. Here is the full spread (click to see it larger!) - there is soooo much detail in one illustration, even down to the tiniest greenery. Love those daffodils! I hope you'll take a peek - for a hard cover book, the price seems really reasonable, and if you like florals and detailed images, you'll really enjoy this one.